As good companions, cats are affectionate and intelligent, and also often independent. But as kittens they are frisky, friendly, and adorable. 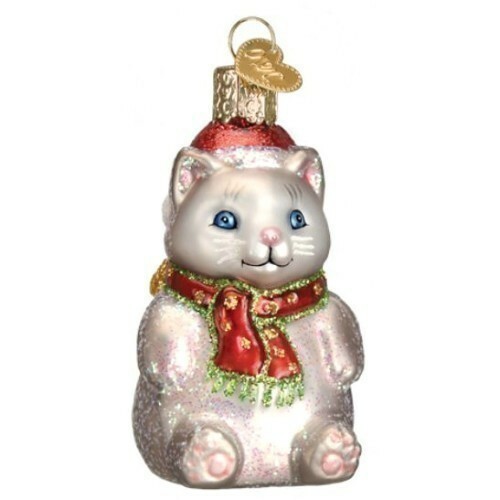 This hand-painted and glittered glass kitty is bundled up and ready to have fun on a wintry day. Size: 3 inches.